When it comes to Brexit, we tend to find that the issues that appear uncertain when we go to press remain so when the journal arrives with subscribers. Could this time be different? As pre-legislative scrutiny of the draft Environment Bill gets under way, some MPs and peers have already set their own ‘green lines’. Where will the flashpoints arise? 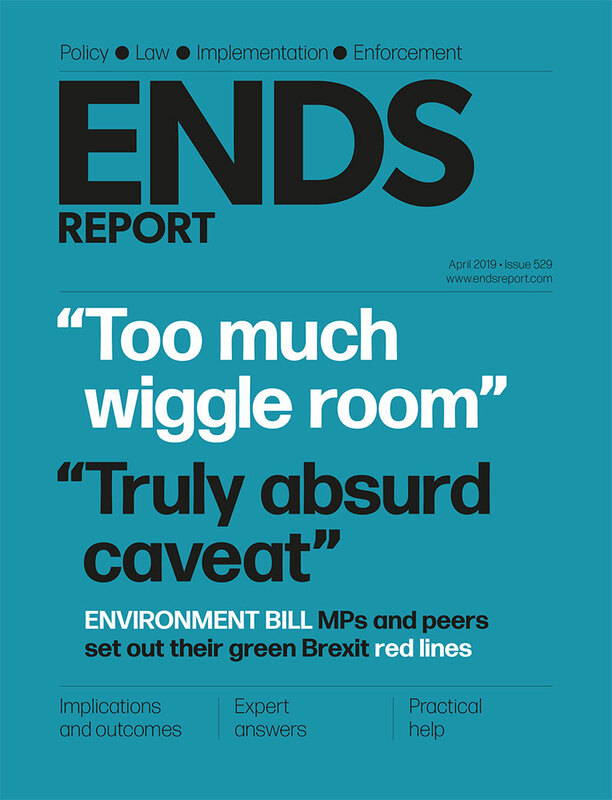 Welcome to the latest issue of the ENDS Report. To read the full version of the magazine online, click on the link below. Fact checker: Has the UK led EU chemical regulation? The UK has tried to ban some chemicals faster than other EU members want, the environment minister has claimed. How do the facts stack up?